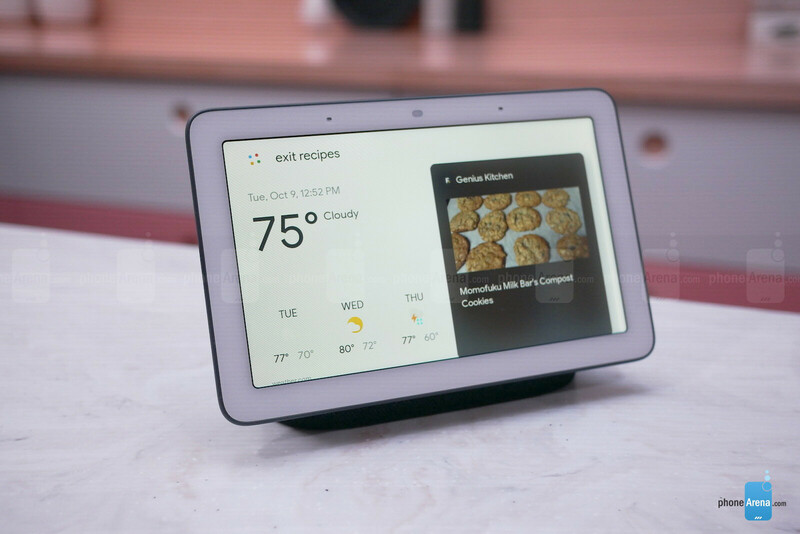 Google’s finally done it – they’ve entered the smart screen space with the Google Home Hub. Ok, that may not sound like the most compelling headline, but this is Google we’re talking about and they’ve entered the space in a way that only they can – with never before seen functionalities. How compelling might these actually be? Let’s take a look in our quick hands-on with the device. For an electronic product to become a permanent fixture in your household, it had better look pretty good. 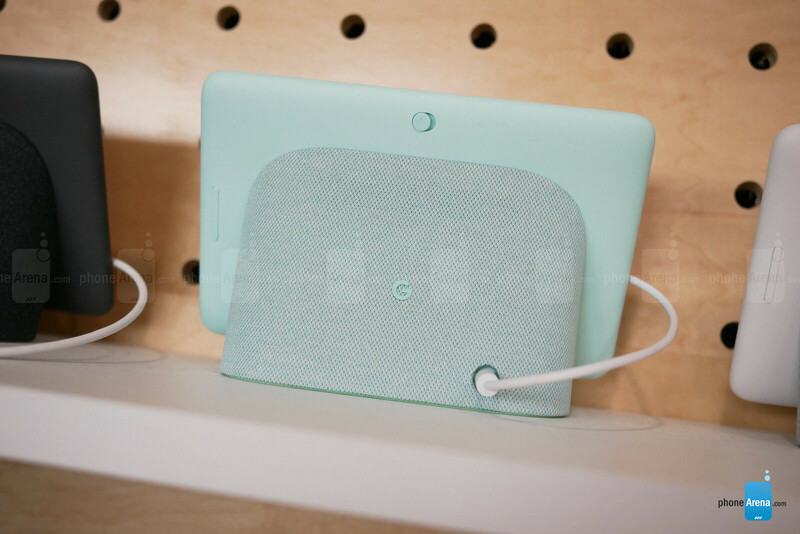 Thankfully, the Google Home Hub does with its white face, soft round edges, and woven fabric back. This fabric comes in Sand, Aqua, Chalk, and Charcoal – soft pastel colors that give enough variety to work with most any room. 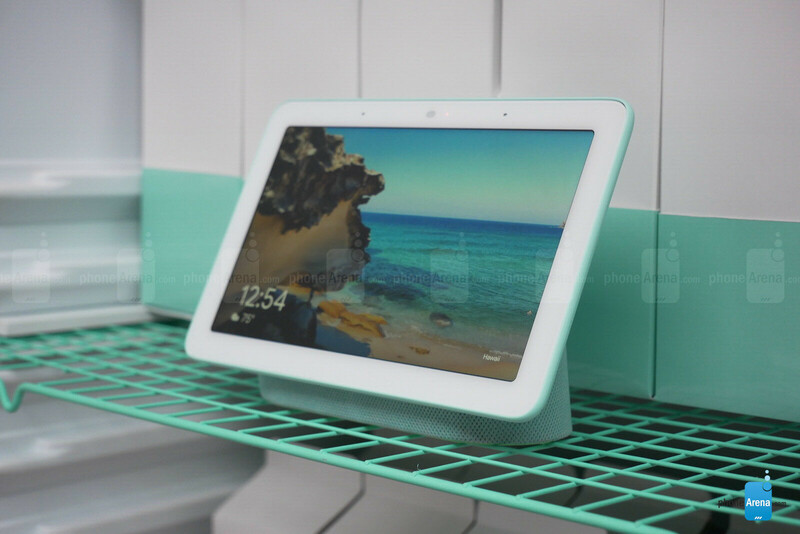 The screen itself only comes in white and the 7-inch, LCD display within keeps the Google Home Hub from being too obtrusive. Speaking of obtrusiveness, Google purposely left out a camera from the design of the Home Hub to keep customers comfortable with it being placed in the most intimate spaces – bedrooms especially. While the Home Hub can’t see you, it can certainly hear you with its 2-mic array. Continuing with thin unobtrusive theme, Ambient EQ is a feature which uses a built-in light sensor to adjust the Hub screen’s colors and brightness for different lighting throughout the day. Being a Google Assistant-driven device, the Google Home Hub responds to queries well – not just due to the assistant’s superior proclivities and adeptness with search, but also through useful visual aids on the screen. This extends to enhanced experiences, like hands-free cooking with online recipes, briefings on your day’s events, and even smart home control. Daily briefing, being able to follow recipes, and learning how to dice onions via YouTube, for example, aren’t exactly new features in the smart screen space. However, Google’s upping the ante a bit by adding a bit of home-control interface to the mix via the Home View feature. This allows you to view your smart home status at a glance by simply swiping down from the top of the screen. For example, you may see “living room lights on and front door locked” as your status, with a breakdown of your smart devices below it, allowing you to manipulate them directly from the Google Home Hub. With over 200 million compatible devices, this smart screen can be a true control hub, via the screen or your voice. Of course, when the Home Hub isn’t busy broadcasting your front door camera or queuing up new music, it can display all your Google Photos albums and even update albums of specific people through facial recognition. Live Albums, as Google calls them, will find new photos in your library and add them to these live, shareable albums, filtering out blurry, imperfect photos along the way. By all early impressions, the Google Home Hub doesn’t exactly revolutionize the smart screen space. Instead, championing personal touches, soft looks, and its always-savvy Google Assistant, the Home Hub makes small strides in the right direction. With the limited Google-based smart screen selection, though, any rising tide can help float these boats. Priced at $149, the Google Home Hub is available for pre-order now and will ship October 22nd. Great for Google Duo! Oh ... wait ... facepalm. What privacy? It still has mics + Not like there are a lot of other options with physical covers for the camera, if you really fear some will watch you. This is just crippled potential.